Shaar blatt of Mayim Rabbim. In 2449, the Nasi of Shevet Ephraim, Elishamah ben Amihud, brought his korban. In 2490, the 30-day period of mourning for Moshe Rabbeinu came to an end. After Hashem told Yehoshua to cross the Jordan River, Yehoshua commanded the officers to prepare the nation for the journey. In 3339, Yechezkel Hanavi received Hashem’s nevuah about the impending demise of the nation of Mitzrayim. In 5245/1485, Rabbeinu Ovadia Bartenura ascended to Eretz Yisrael. His journey lasted three years. Harav Yitzchak was the son of Harav Yosef Sprabidlider. The family were descendants of Harav Yitzchak Chayus, zt”l, Rav of Prague and mechaber of Apei Ravrevai. Rav Yitzchak resided in Ostroha, and was in the group of 10 avreichim, known as the foremost lamdanim in the city, who were supported by the naggid Reb Yozpe. Later, Rav Yitzchak was Rav of Brod and also maggid meisharim in the city. He also served as Dayan on the beis din of Harav Yitzchak of Hamburg, zt”l. Rav Yitzchak was acquainted with the Baal Shem Tov, who attested that Rav Yitzchak was a tzaddik hador, and that the entire world rested on his merit. Rav Yitzchak was also known for his many mofsim. Many of Rav Yitzchak’s divrei Torah were later published in Mayim Rabbim, a compilation of the divrei Torah of his son Harav Yechiel Michel. 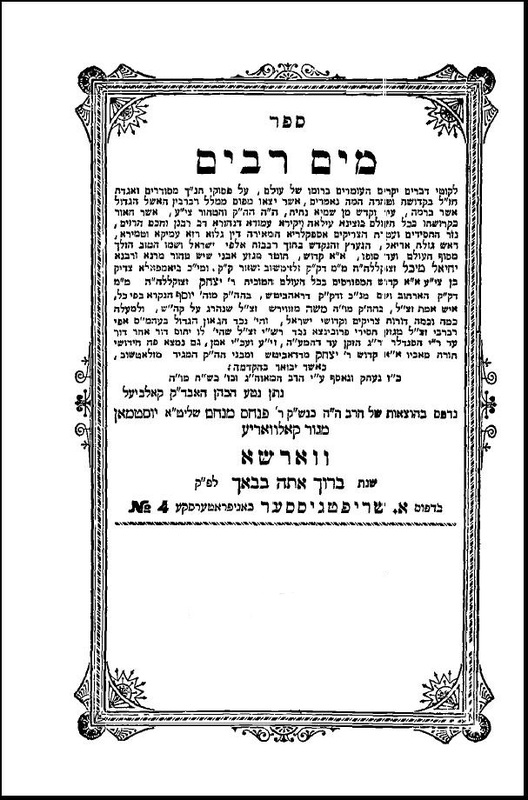 Rav Yitzchak was niftar on 7 Nisan 5504/1744. (Others say the date was 5510/1750.) He was buried in Charkov. Rav Yitzchak was survived by his son Harav Yechiel Michel, zy”a, the Zlotchover Maggid. 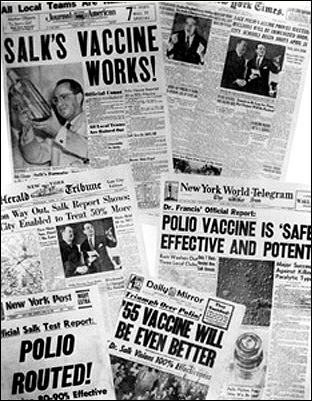 1955 newspaper headlines on the development of an effective polio vaccine. 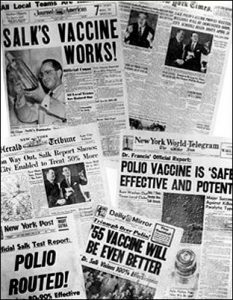 In 1945, President Franklin D. Roosevelt died of a cerebral hemorrhage in Warm Springs, Georgia, at age 63; he was succeeded by Vice President Harry S. Truman.